Will an Artifact Trigger Cast function or must be from hand? 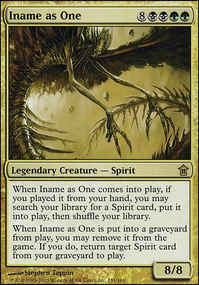 , , Sacrifice Soul Separator: Exile target creature card from your graveyard. Put a token onto the battlefield that's a copy of that card except it's a 1/1, it's a Spirit in addition to its other types, and it has flying. Put a black Zombie creature token onto the battlefield with power equal to that card's power and toughness equal to that card's toughness. Cackling Counterpart, Clone Legion, Cogwork Assembler, Fated Infatuation, Followed Footsteps, God-Pharaoh's Gift, Heat Shimmer, Helm of the Host, Hour of Eternity, Kiki-Jiki, Mirror Breaker, Mechanized Production, Mimic Vat, Minion Reflector, Mirror Mockery, Mirrorpool, Mirrorworks, Nemesis Trap, Progenitor Mimic, Prototype Portal, Rhys the Redeemed, Rite of Replication, Saheeli Rai, Saheeli's Artistry, Seance, Second Harvest, Soul Foundry, Soul Separator, Spitting Image, Stolen Identity, The Scarab God, and Twinflame. Since I did not know exactly what you were looking to do, I included options allowing you to copy artifacts (in case it's an artifact creature you want to copy), as well as create copies of cards in your graveyard or hand. 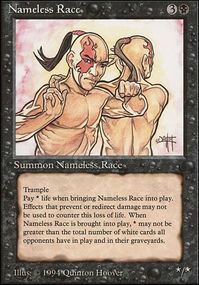 TheRedGoat: I agree that Young Pyromancer would need more instants/sorceries to be consistent, but I'd be lying if creating at least one token of it and then making the rest of your tokens a copy of it just to make a ton more tokens didn't make the Johnny inside me excited. Takes some setting up, but if you can get a second combat phase through Combat Celebrant or similar and another copy effect, things can quickly go terribly wrong for your opponent(s). Still, the only repeatably castable instant or sorcery here is Stolen Identity (I think), and that only happens if you can reliably get the creature it's encoded on through blockers and keep it safe, so the Pyromancer might need to be looked at more closely. Or maybe Metallurgic Summonings has a place in here? As for the theft stuff, many, if not most, of the spells that create copies of creatures can target any creature. So if they play a big scary creature, you can say "I see your Blightsteel Colossus and raise you..." copies the Colossus, enters combat phase "2 (1st copy + Brudiclad's Myr) + (number of other tokens you already had). How 'bout dem apples?" Which is the kind of thing I think Daedalus19876 was going for, not necessarily taking their creature and then copying it. I do think God-Pharaoh's Gift and Back from the Brink merit inclusion, though Soul Separator can be tricky to use, since it splits up the abilities and stats. Often, it's the combination of the abilities and stats that make a threat a threat. Otherwise, I do feel that it might be prudent to have some easy sac outlets to either prevent something like a rogue Echoing Truth from ruining your day or as a way to punish boardwipes if the outlet let's you deal direct damage, as with Goblin Bombardment. I would point out that the article covers only two builds: artifacts or spell slinger. You say you want to emphasize a clone/theft build, but honestly I'm not sure Brudiclad is well suited to that. To my knowledge such a build would rather play Mind Control and Threaten than Goblinslide or Goblin Assault (at least to name the weaker cards I see you running). 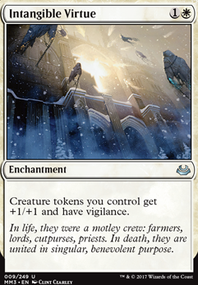 I will say that if you want to just run a bunch of random good stuff cards to make tokens of, then you need the following package: Soul Separator, Soul Foundry, God-Pharaoh's Gift, and Back from the Brink. 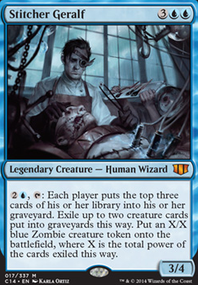 Those cards, plus Mimic Vat and the Feldon in your maybe board, act as a perfect graveyard package for whatever other creatures you want to run. Other "packages" you should look into are ETB copy effects (see Blade of Selves, sacrifice outlets (like Goblin Bombardment for having a mass token hoard), and if you decide to run any tokens that generate mana there's always "x-spells". Best of luck to you! I can definitely say that I'll be trying out that grave package, but if you get to it first let me know how it plays in your meta! Also as a disclaimer I don't know what running some of these packages will do to the power level of your deck. It may be lower tier, or it may be too OP for your playgroup. Use with caution. TypicalTimmy on Blue Creature Cloner? Here's a list of what I could find. The lack of God-Pharaoh's Gift here seems odd? 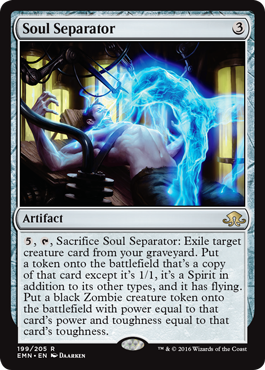 Soul Separator is another similar card on that theme. 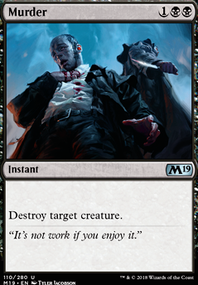 So I won't presume you wouldn't need to change your build to incorporate these, but I'm just going to put out there that Seance, Back from the Brink, Soul Separator, Mimic Vat, Soul Foundry, Faerie Artisans, God-Pharaoh's Gift, and Dance of Many are all cards you could really abuse. Also I totally want to build a deck with all of those cards now!